11 ways to be a great parent. Want to be a great parent? Here are some parenting basics. Many people worry about how good a parent they are and how to be a better one. Those who don’t worry probably need the help more than those who do worry. I recommend parenting education to many of my client’s, even ones that do not have children. Learning how to be a good parent can help you with the skills to be a good grandparent, friend or any mentoring role. Knowing something about parenting and how it affects children can also help you if you have unresolved issues from childhood. This is a skill I think of as self-parenting. Here are some tips gathered from all over on how to be a good parent. My apologies to those I learned these things from as I forget who taught or wrote about which point. If you have gathered some other parenting ideas feel free to comment or use the contact me form. 1. Catch your children doing something right. There are plenty of people who will point out a person’s flaws. You do not make better children by attending to only those things they do wrong. Too much attention to the mistakes makes the child think they are not capable of doing anything right. Help them learn that they are capable of doing things and doing them well. They do not need to be the world champion in that endeavor at age 5. It is sufficient that they find their talents to develop and enjoy the process of mastering that activity they love. Help children develop a sense of mastery. They will feel better about themselves if they can do good things. 2. Make sure your children know you love them. Many parents think their children know they are loved. Trouble is a lot of adults say their parents never told them they loved them. We show our love sometimes by the things we do, feeding and caring for family members. Trouble is other people may give you food or tangible things, that doesn’t mean they love you. Doing things or buying things just isn’t enough. People need to hear those loving words also. Let your children know you love them not just for what they do or the successes they have but that you love them even when they are less than perfect. Love unconditionally, not just for the good times. 3. Parents need to be parents and let the child be a child. You can have a good relationship with your children but you can’t neglect your duties as a parent. They need friends but that is not the parent’s job. There are times a parent needs to say no. You have to deliver the bad news. There will be times you need to set limits and boundaries. If the parent does not set limits the child begins to think they can’t be controlled. Eventually, they will come to believe that they can control themselves. 4. Take good care of yourself – set a good example. Children learn more by watching what you do than by listening to what you say. Lots of people talk about what others should do. The lessons of what you do, come through loud and clear. If children see you never taking care of yourself they think that is what they need to do to be like you. 5. Maintain your adult relationships. Parents need to have other adult friends. If you are in a relationship you need to spend time with that partner maintaining that relationship. Stay in touch with friends. Your children will develop friendships and eventually relationships. The kids can’t be the ones to meet all your social needs. There will be life after children. If you are in a relationship maintain it. If you are a single parent develop other healthy adult relationships. You will need friends as your children venture out into the world and they will not be able to stay around to meet all your needs. 6. Get along with others. Especially the other relatives. If you and the other relatives do not get along then you put your children in an impossible situation. You and your ex may not be together anymore but no matter how much that other person hurt you they will always be your children’s other parent. Don’t put your children in the position of having to take sides. If you keep your children from the other parent it is the kids that you are punishing not your ex. Short of keeping your children out of real danger, it does not pay to inflict your pain on the children and keep them from having contact with a relative because they have angered you. Having an extended family that the child can learn from and be supported by anchors them and give their life meaning. Don’t let your squabbles and rivalries with other relatives keep your child isolated from having a family. 7. Have good mental health – learn to manage anger and reduce stress. Having a depressed parent leaves a lasting impression on a child. It is not noble to suffer in silence. If you have issues get help. Mentally healthy parents raise healthy children. Addicted parents raise children who struggle through life. Get healthy for their sake. Do not alibi that “that is just the way I am.” You say you have always had a lot of anger? There was a time that you ate with your fingers and went in your diaper. If you could learn to eat with silverware and use the bathroom then you are capable of learning to control your anger. Learn stress reduction techniques. Develop healthy ways of managing your anger. 8. Accept your child’s differences. They will not be small copies of you. Parents want their children to be all they can be. What is not helpful is to try to overcome your failures by pushing your children to succeed where you did not. Love a sport? You can teach your child that love. They may excel. But don’t try to redeem yourself by pushing them to make the team where you failed or to win the championship you lost out on. In this world what we know can become obsolete. Any of you still using rotary dial phones? Not likely your children will get far with only that technology. Learn something new every day. Encourage your children to learn also. Learn for the fun of it and then life becomes fun. The most successful people have interests and knowledge outside the field in which they work. Taking knowledge from one area and applying it to others is where much of the creativity in this world comes from. 10. Keep life in balance. Life is not all about one thing. We need to work hard but we need to play. Children need to study and they need to laugh. If you do not have your life in balance then your children will have difficulty learning how to keep theirs on an even keel. We all have many aspects to our lives. You need to eat well, exercise well and sleep well to live well. Do not neglect the social part of your life. Pay attention to your religious or spiritual needs also. 11. Spend time with them. Time is more important than money when it comes to raising healthy children. Do things with them. Take them along. Plan activities together. The toy may break and be discarded, the candy is eaten and gone, but the experiences you create together will last a lifetime. Those are some of my suggestions for being a great parent. What suggestions do you have? You can find more at Parenting and Children and Family Problems. 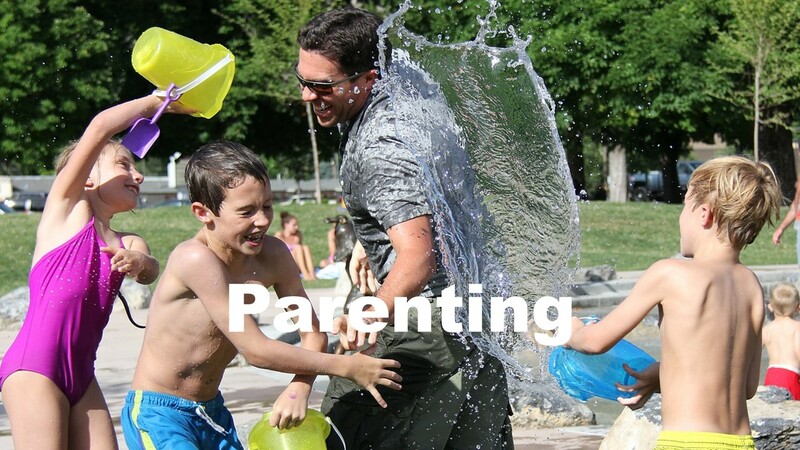 This entry was posted in Children, Parenting and tagged balanced family life, being a great parent, life after children, Parenting, parenting skills, parenting tips, raising happy children, self-parenting by David Joel Miller. Bookmark the permalink. Great tips for parents. A must share!